“In every culture and in every medical tradition before ours, healing was accomplished by moving energy.” –Albert Szend-Györgyi, 1960. Energy medicine is the use of energy to heal the body and mind through therapeutic uses of energy, both externally applied and internally generate. Dr. James Oschman is considered the “Father of Energy Medicine” and has dedicated himself to demonstrating the scientific basis of energy medicine and its importance todays healing equations. This short video includes highlights from Dr. James Oschman’s presentation at the Annual World Congress of Anti-Aging Medicine. There is nothing woo-woo in Dr. Oschman’s approach to Energy Medicine, and because I am from an evidence-based scientific background I appreciate his message. 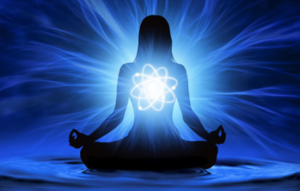 Energy medicine is the transfer of low level energy into your body for many conditions. Energy medicine is basic to life and we are surrounded by nature’s energy and yet we are often disconnected from it. The mechanistic model of healing was ushered in during the Scientific Revolution of the 18th Century by notable scientists including Rene Descartes Galileo, and Francis Bacon. While many brilliant contributions to the furthering of science were made during the Scientific Revolution, the baby may have been thrown out with the bathwater, so to speak. The age of Vitalism, the notion that “vital spirits” operate within the body-mind, gave way to the mechanistic model of cause and effect. The current scientific model assumes that if you can’t measure or otherwise quantify an energy field, then it doesn’t exist. Consider that the electrocardiogram was not acknowledged even 100 years old. Willem Einthoven was awarded the Nobel prize in 1924 for demonstrating the heart’s electromagnetic field was recordable. Taken for granted today, the heart beat is generated by an electrical impulse and can be recorded; the electrocardiogram was early energy medicine. Further, it was not until the 1960’s that scientists discovered that the heart generates a magnetic field, the strongest electro-magnetic field within the human body. Will we be able to measure subtle energy in the future? Perhaps the “vital spirits” of days gone by were energy fields that we can now measure. What else are currently unable to detect and measure with current instrumentation? 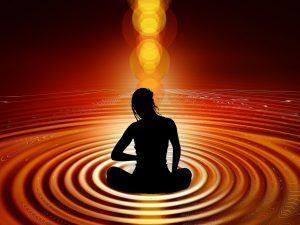 Will we one day be able to measure the subtle energy fields of the chakras or kundalini energy? Only time will tell.